“At 13, James Ragan was an affable, lanky, top-ranked junior tennis player in Texas, competing in Europe for the summer and dreaming of life as a pro. A sudden swelling in his left knee caused concern, but James never imagined what would soon unfold. Doctors discovered he had osteosarcoma – a rare and often fatal form of bone cancer. The aggressive cancer spread to his lungs and continued to return on an almost annual basis. With six painful surgeries in seven years, surgeons would no sooner cut the tumors from his lungs when they’d return. Once it metastasizes, there is no cure. James died at 20 years old, but he embraced every minute he had on earth while doing what he could to help eradicate the disease. A spirited young man with an easy smile, James frequently visited other kids with cancer at MD Anderson Cancer Center in Houston, where he was treated. He held fundraising toga parties and golf tournaments, and founded the non-profit Triumph Over Kid Cancer. In total, he helped raise $3 million for pediatric cancer research. “Before I had cancer, I don’t really remember going out of my way to do anything nice for someone else,” he told his high school classmates in an inspiring graduation speech as class salutatorian in 2011. In what turned out to be his last year, James opened his life to filmmakers Geraldine Moriba, a fellow sarcoma cancer patient who has been in remission for 12 years, and Jamila Paksima. James hoped the film, Until 20, would not only increase awareness of rare pediatric cancers and help increase funding to find a cure, he also wanted to help viewers learn from his short but full life about what truly matters. The intimate and moving emotional documentary is now being shown at film festivals and screenings across the world. It is also being distributed through Tugg.com. “Genuinely, he wanted to help other kids with cancer,” Moriba tells PEOPLE. “It’s really, really nice to see his face and hear his voice again,” Jim tells PEOPLE. “It’s difficult emotionally for everybody. It is very difficult for us to see video of him without extraordinarily fond memories of him. James was diagnosed with osteosarcoma in his left leg the summer between seventh and eighth grade. He underwent chemotherapy and surgery, and doctors told him he was cancer free. But five months after his treatment ended – at the start of his freshman year of high school – James found out the cancer had returned, with tumors growing in his lungs. 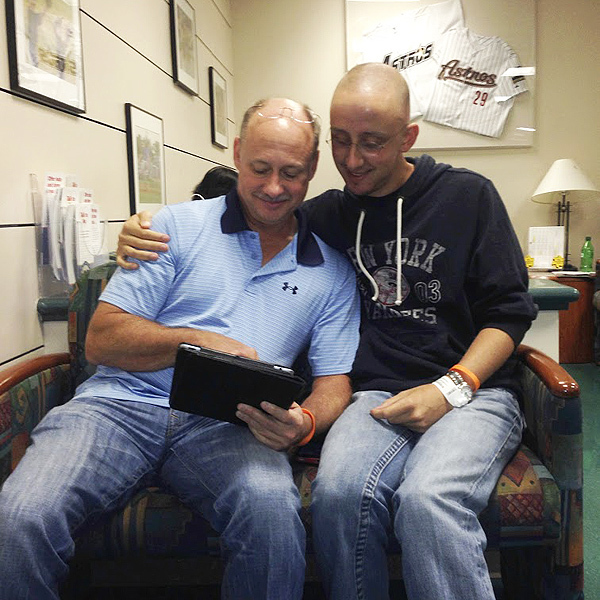 That’s when he learned he had metastatic osteosarcoma. But thanks to his spirited personality and the tremendous support of his family, which includes his devoted mother, Gloria, and younger sister, Mecklin, now a medical student, James learned a meaningful, happy way to live. “At the end of the day, he had already lost so much, he didn’t want to lose today worrying about what would happen tomorrow and what happened yesterday,” Jim says. 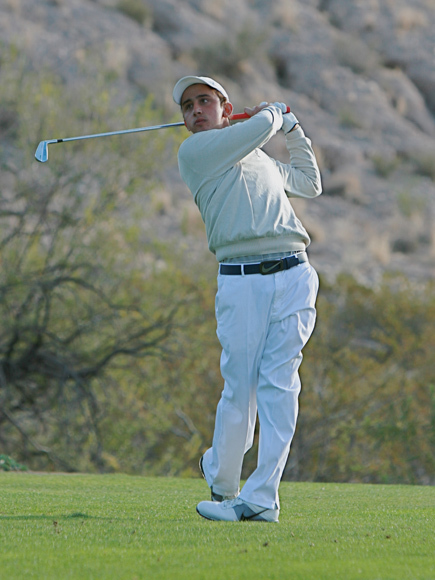 Despite surgeries and chemotherapy that left him in tremendous pain, James took up golf, and became so good that he earned a spot on the Division I team at Rice University. The film also shows the joy of James falling in love with a fellow Rice student, and the heartbreak of receiving the news that tumors had grown around his heart just days after his first date. “When we got the news in January that it was over, it was a shock to us,” Jim says. James left school and returned home to Corpus Christi, and spent his precious time surrounded by an endless stream of family and friends. He also spent countless hours texting his newfound love. A week before his death, Moriba filmed her final scenes with James. “The last interview, he said, ‘This is the room I am going to die in’ and he said, ‘I had 1,000 days more than the average kid with osteosarcoma,’ and he shrugs his shoulders and smiles,” Moriba recalls. Cancer is not just a health diagnoses; it’s a life diagnosis, and not only for the child who receives it, but for the whole family. We think of children dying of cancer, and that makes sense: it’s the second leading cause of death in children after accidents. But children live with cancer first — a life of challenges, of physical and emotional pain, and of an immense family upheaval as the stricken child’s life becomes the focus of family life. Triumph Over Kid Cancer (TOKC), an organization that raises money to investigate new therapies for childhood cancer based here in Corpus Christi, asks us all to consider some realities of childhood cancer when we think about the 10,000 children under the age of 15 who are diagnosed each year. “We spend so much time celebrating the triumphs we sometimes forget that kids have to fight against cancer day in and day out,” says Gloria Ragan, whose son James founded TOKC and inspired its supporters before his own death in 2014. 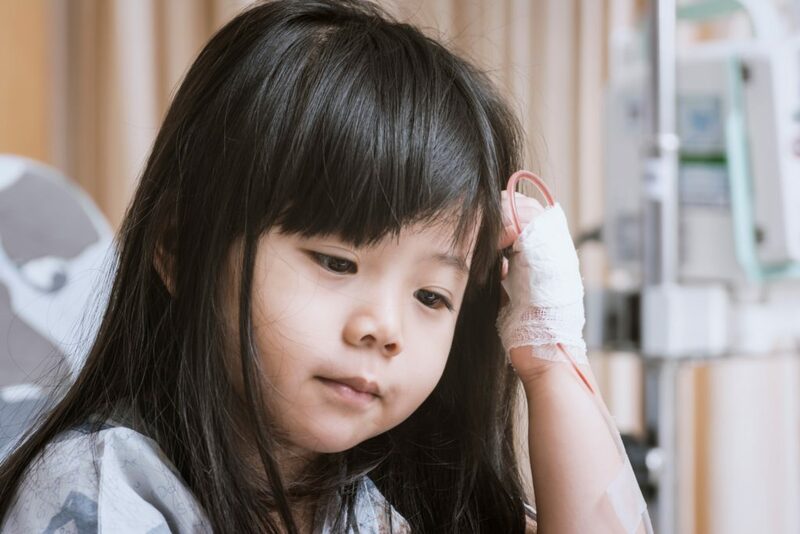 Children with cancer face a gauntlet of physical pain involving injections, radiation and chemotherapy — another way of saying burning and poisoning — the pressure of tumors on nerves and the cancer itself. They have to deal with these issues on top of the usual challenges of growing up whether they are young children attempting to learn about the world or teenagers navigating the minefield of puberty and young adulthood. Children with cancer live with the daily prospect of a flare-up, a setback, another hospitalization and even death. 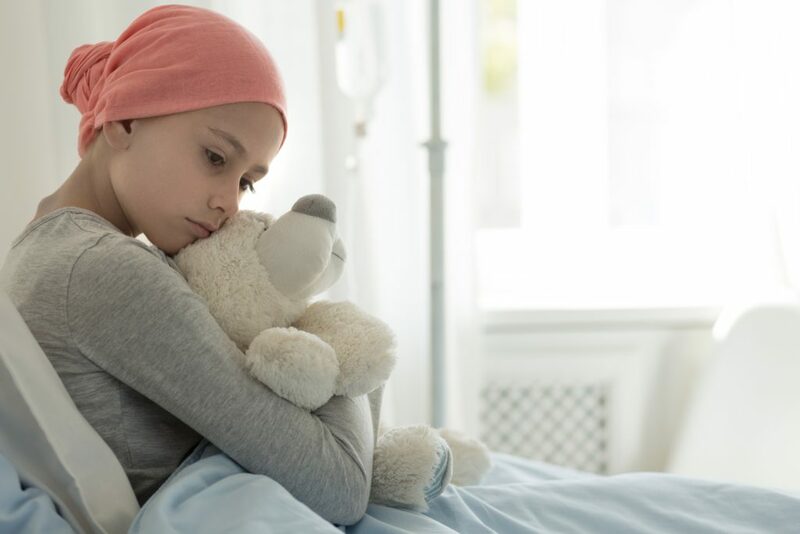 One in five children diagnosed with cancer will die of it. It’s a lot for anyone to cope with, much less a child of any age. As the progress of the cancer ebbs and flows, children with cancer are usually sidelined from some activities that their friends enjoy — particularly sports. They may also miss large chunks of school time that sets them apart from their peers and even when they return, they must attempt to catch up weeks or months of work. Nothing is worse for children, especially in middle and high school, than to be different in a way that everyone can see. Children with cancer have to choose between things no child should have to do. Should they go to school the day they have chemotherapy? Should they complete their homework when they are vomiting and suffering headaches? Should they go out with their friends even if there won’t be a bathroom nearby? Should they attempt to date? They make the ordinary emotional trauma of adolescence seem trivial. Families that care for children with cancer incur incredible costs during the diagnostic, treatment and follow-up. Besides the health care costs themselves, which insurance almost never covers entirely, parents often must travel with children to treatment, take time off from work and even give up employment. As many as 30% of children with cancer live over 60 miles from the nearest oncologist. The financial burden exacerbates the physical and emotional issues challenging the family. Everyone in the childhood cancer community knows of parents who cracked under the emotional pain of a child with cancer, of parents who struggled with alcoholism, psychological issues and divorce from the strain. It even affects siblings because parental attention can become diverted to the sick child. You can help Triumph Over Kid Cancer win the war against childhood cancers and save the lives of millions of children alive today and those yet to be born. Visit TriumphOverKidCancer.org for more information or to make a donation. We’d love to learn more about you? What do you do? What are some of your passions/interests? I’m currently in my 4th year of medical school at UT Health San Antonio, applying to residency in General Surgery. I hope to have the opportunity to go into surgical oncology, but for now I’m taking things one day at a time. Outside of school, I enjoy spending time with my family and friends, playing with our family dogs, running, watching classic movies, reading, and playing the piano. And, as one might expect, I’m very passionate about helping kids with cancer and their families, and pediatric cancer related issues. Who or what has been your biggest source of inspiration in life? The biggest source of inspiration in my life has been, and continues to be, my brother, James. I can remember times when James was absolutely miserable – he was sick and sad and had no idea what the future held. 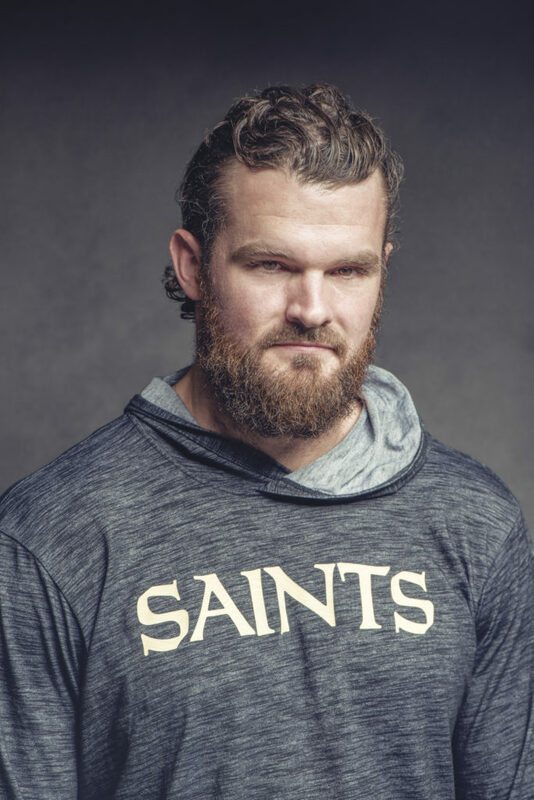 In spite of all of the challenges James faced, he got up, he smiled, said something funny or nice and began to do something positive with his day. Some days he did school work, and when he graduated he was the salutatorian. Some days he worked to become a better golfer so that when he got to college, he could play Division I golf for the Rice Owls. But most days he worked at cancer. And James’ unrelenting ability to think of other kids like him and families like ours and new ways he could do his one thing to help them is what continues to inspire not just me, but my fellow TOKC Board Members and our supporters as well. And while James has been the biggest source of inspiration in my life, I can’t talk about what or who inspires me without including my parents, Gloria and Jim. It has been said that the greatest loss one can experience is that of a parent losing a child, and even though as individuals, as parents, and as husband and wife they have been through some extraordinarily difficult times, they continue to be an amazing team and to love and support one another. They help to pick each other up, and me, when any of us falls. They continue to encourage me to work hard to be the best physician and person I can be and to pursue my dreams, wherever that may take me. And even though they lost their son, they continue to do their one thing each day to honor James’ memory and to help kids with cancer and their families navigate the complex and overwhelming roller-coaster that is cancer. They are the living example of the kind of person I want to be. Although TOKC was officially founded in 2010, the idea originated in 2007 just a year after James was diagnosed with Osteosarcoma. He had completed several rounds of chemotherapy, had undergone a total knee replacement, and was about to turn 14. To celebrate we hosted a Toga Party for his 14th birthday and, in lieu of gifts, guests were asked to make donations which would be split between MD Anderson and Driscoll Children’s Hospital (our local children’s hospital in Corpus Christi). That year, we raised $40,000! At that point in time, everyone thought James was cured. Unfortunately, a few months after that first Toga Party, we learned that the cancer had metastasized to his lungs. In researching his disease, we learned that there was no cure for it, and there was no real effort to find a cure. By the time James’ birthday rolled around the following year, he had become quite the golfer, so we decided to have the Toga party once again, but this time also added a golf tournament to round out the weekend’s festivities. all of the money raised went directly to cancer research. In the years that followed, we held annual fundraisers to raise money for cancer research, but we quickly realized that if we could find a way to formalize our efforts, we would have a greater impact with the funds we were raising. So, in 2010, we organized a non-profit called Triumph Over Kid Cancer Foundation (TOKC) and began funding the Children’s Sarcoma initiative at M.D. Anderson Children’s Cancer Hospital. TOKC committed to raise 1.5 million dollars, to be matched by M.D. Anderson Children’s Cancer Hospital, and the money would create a fund, which would award grants to support new research into pediatric bone cancer. We met that goal at the end of 2013, about 1 month before James’ death. TOKC has continued to raise funds that go directly towards projects dedicated to finding cures for pediatric cancer. In 2017, we completed our $1.5 million dollar pledge towards Pediatric Genome Research, with those funds also being matched by M.D. Anderson. In 2018, we embarked on two new projects. The first is a Phase II drug trial at MD Anderson, focused on a drug that holds great promise to treat patients with osteosarcoma with lung metastasis – the very disease that took James’ life. James’ vision was a world without children’s cancer, and I and the rest of the TOKC board members, remain determined to make that vision a reality. 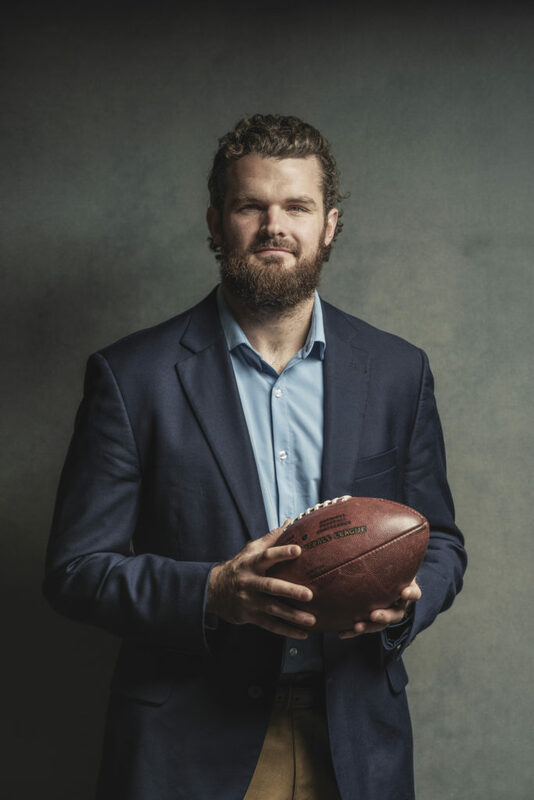 But James also recognized that while supporting research gives kids with cancer and their families hope for a better future, there is another big piece in this puzzle – finding ways to bring some joy to the daily lives of kids with cancer. And TOKC does this with the help of our countless volunteers and the members of our #DoThatOneThing Councils, a high school program that encourages teens to become more involved in their communities and teaches them about non-profit work. Now in 10 high schools in the Coastal Bend, hundreds of high schools students from all over promote pediatric cancer awareness and help organize activities to brighten the lives of kids with cancer and their families. What words of encouragement or advice would you give to other women dreaming of entering the medical field or pursuing their passions? There’s a quote from James in the documentary “Until 20” that was made about the last year of his life and pediatric cancer where he relates his life to the game of golf that I just love. Life, whether you’re entering the medical field or pursuing any other passion you have, is full of ups and downs for everyone, not including the extra obstacles we face as women pursuing those goals. But, like James said, just because you get knocked down or hit a rough patch doesn’t mean you play the game any differently. You have to get back up, figure out the best way to deal with the adversity you are facing, and move forward because while the challenges we face in our lives may shape the people we become, they do not define us. What defines each of us is how we respond to those challenges, and I believe that if you are able to stay grounded, humble, and hungry, you can accomplish anything you set your mind to. “2019 Spotlights | Women Empowerment | Inspiring Women Today.” InspiringWomen.Today, 20 Feb. 2019, www.inspiringwomen.today/copy-of-new-spotlights. You may know Triumph Over Kid Cancer (TOKC) as the Corpus Christi-based non-profit inspired by the life of James Ragan that has raised over $3 million for pediatric cancer research. Diagnosed with cancer at 13, James celebrated his 14th birthday with a Toga party at which guests were invited to donate money instead of buying presents. He raised 40,000 dollars that day, which began his efforts to fund innovative new treatments for childhood cancers, which hardly receive any government or pharmaceutical industry funding at all. That began the work of Triumph Over Kid Cancer. Sadly, we lost James in 2014 at age 20, but other passionate supporters of the cause have carried on his work. One of organization’s leading benefactors has been Gloria Hicks, owner with her husband of Ed Hicks Family of Dealerships, Corpus Christi’s home for Mercedes-Benz, Nissan and Infiniti. Gloria Hicks got to know James even before his diagnosis in 2006 when her son Charlie became his golfing buddy. Since TOKC began, Gloria has given her heart, her time and her treasure to support its critical work. Here are just a few of Gloria Hicks’ contributions. A major fundraiser annually for Triumph Over Kid Cancer, the golf tournament is also a place at which TOKC is given the opportunity to reach out to those who might not know about its efforts in the field of pediatric cancer research. Gloria Hicks has designated Triumph Over Kid Cancer the official beneficiary of the event every year. The Ed Hicks Family of Dealerships has invited TOKC volunteers to the opening of every new dealership, allowing them to expand awareness and support for James’s vision. When a prominent family business gets behind a cause the way Gloria Hicks and her family does, it attracts many of the community’s leading citizens. Gloria Hicks served as an irreplaceable volunteer at fundraiser auctions. 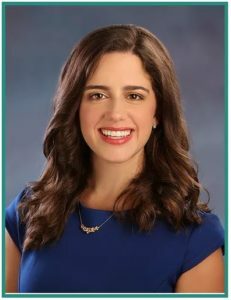 She leveraged her deep connections in the community to convince area businesses and individuals to donate incredible auction items. Much of the success of those auctions, which have raised hundreds of thousands of dollars for pediatric cancer research, is attributable to Gloria’s tireless work, dedication and talent for motivating people. In order to drive participation in our annual James A. Ragan Triumph Scramble golf tournament, Gloria Hicks’s company donates a hole-in-one prize package, including a Mercedes-Benz automobile, for any golfer who makes a hole-in-one during the tournament. This generous contribution is responsible for recruiting players in the sold-out event. In addition, Gloria’s personal support has inspired others to support the tournament. Thanks to the generous commitment of people like Gloria Hicks, Triumph Over Kid Cancer was able to launch The Children’s Sarcoma Initiative with M.D. Anderson in 2010 to fund novel cancer treatment ideas, and The Genomic Research and Sequencing Project for Pediatrics with M.D.Anderson in 2014. Currently they are funding a phase II drug trial, and have also pledged to raise $1 million for the Childhood Cancer Cell Therapy project at Texas Children’s Hospital. November is traditionally the month of giving thanks and giving back to those who make a difference. In recent years, organizations from all over the globe have taken part in #GivingTuesday, a global campaign where communities recognize their favorite organizations or nonprofits that improve the livelihood of others by donating to their missions. This year, we celebrate on November 27, 2018. While we appreciate your support year-round, #GivingTuesday is the one day in the year when organizations like TOKC are given recognition and the necessary funding to continue life-changing work. We proudly take part in #GivingTuesday, and all donations to TOKC go to help raise funds to improve the treatment and survivability of pediatric cancers. Would you like to give to TOKC for this year’s #GivingTuesday? There are a few ways you can show your support. Online donations are an easy and direct way to give straight to TOKC and our mission. When you donate, you are helping support research such as a Phase II trial at M.D. Anderson for lung metastasis and a Childhood Cancer Cell Therapy at Texas Children’s Hospital. Each of these projects has the potential to create major breakthroughs in the treatment and cure of multiple orphan pediatric cancers. The funds received by each institution are matched by that institution. Additionally, you can also give back while shopping for gifts from the TOKC store! We have a range of different products for sale and all proceeds go directly to TOKC. Shopping at TOKC is also a great way to start prepping for holiday gifts for the whole family — even pets! Your donations and support are what keeps our mission going. Thank you for considering TOKC in this year’s #GivingTuesday! In honor of Thanksgiving being just around the corner, we want to reflect on last year’s amazing Driscoll Children’s Hospital Thanksgiving Dinner! From karaoke, dancing, photo booths and great food, our party goers had a blast celebrating Thanksgiving a little early with their families and doctors at Driscoll Children’s Hospital. This annual event is special to our organization because it’s a time solely dedicated to celebrating and giving thanks to our TOKC family. We love seeing all of the smiling faces at our events and look forward to continuing this tradition for years to come! Check out these video montages from last year’s event! For a little sneak peak from this year’s 4th Annual Thanksgiving event, check out KIII TV and KZTV’s video coverage. Stay tuned for more photos and videos from this year’s event, and Happy Thanksgiving! In 2006, James Ragan was an average junior high school student. An active athlete, James was a nationally ranked junior tennis player by the age of 13, when he first developed pain and swelling in his left knee. A routine check-up with a medical specialist led to his diagnosis with Osteosarcoma, a deadly form of bone cancer. He left the 7th grade as a strong, healthy athlete only to return the following year frail and without hair as a result of intensive chemotherapy treatments. Despite grueling surgeries and devastating treatments, James remained positive and kept moving forward. When James and his older sister, Mecklin, learned there was no cure for his disease, nor research being done to find one, they decided to take this experience and influence change: they made it their mission to raise money to fund pediatric cancer research. 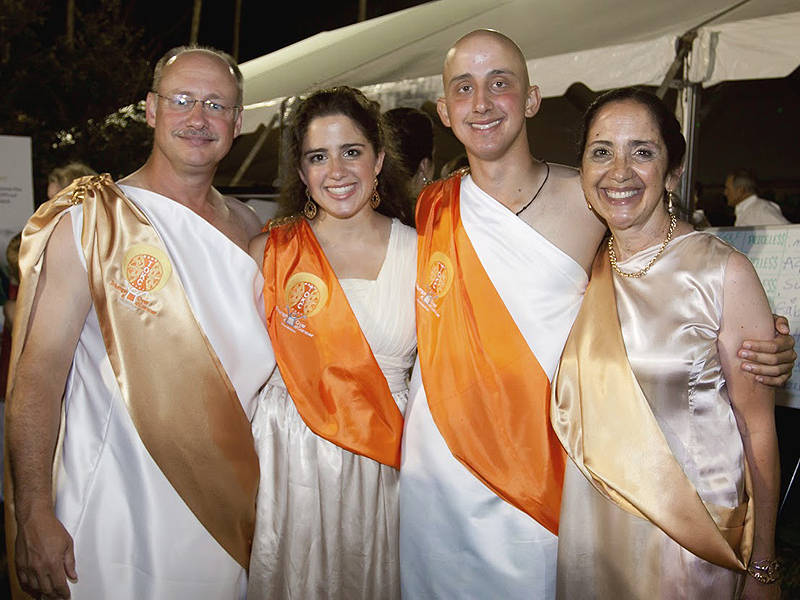 In 2007, one year after his diagnosis, James and Mecklin hosted a toga party with the theme, “Triumph Over Kid Cancer.” The event garnered $40,000 its inaugural year, which was donated to Driscoll Children’s Hospital and M.D. Anderson. This initiative led to the development of our foundation in 2010. For the next four years, we continued our charitable efforts raising over $1 million dollars toward pediatric cancer research in partnership with M.D. Anderson Cancer Center. Throughout this time, James himself dealt with multiple surgeries and experimental treatments, that gradually eroded his health and quality of life. On February 17, 2014, shortly after meeting their first goal of $1.5 million dollars toward M.D. Anderson’s Children’s Sarcoma Initiative, James passed away. $1 million to fund a phase 2 drug trial at M.D. Anderson for a drug whose original research was funded by the Children’s Sarcoma Initiative. $1 million to fund a new immunotherapy drug being developed at Texas Children’s Hospital. Each institution’s research projects have the potential to create major breakthroughs in the treatment and cure of multiple orphan pediatric cancer. If you would like to help honor James’ legacy and contribute to this innovative research, learn more about our partnership opportunities by emailing TOKC@TriumphOverKidCancer.org, calling 361-883-TOKC (8652) or by donating online here. One of the most crucial ways to show your support during Childhood Cancer Awareness Month is to take action by donating. When you donate to TOKC, you help advance progressive research into pediatric cancers. All donations made to TOKC are matched dollar-for-dollar by MD Anderson and Texas Children’s Hospital. You can also shop directly from the TOKC website. We have a wide variety of products available that make great gifts for loved ones or for a pediatric cancer patient to help brighten their day. All proceeds of your purchase go directly back to our organization’s mission. Many online shopping websites provide an option to give back while you shop, like Amazon’s AmazonSmile program, where a percentage of your purchase is donated to the nonprofit organization of choice. If you have an event idea or want to host an event but need ideas, TOKC is here to help make this a success. Volunteer your extra time in honor Childhood Cancer Awareness Month. You can make a child’s day by visiting their hospital and spending time with them. Many hospitals allow visitors to take gifts to the children to lift their spirits. Another way to volunteer is to help plan or work at a fundraising event. TOKC continually organizes events or hospital visits which volunteers can be a part of. We are thankful for everything our volunteers do and always have opportunities for new volunteers to get involved.